So….where have I been? Working diligently to regain control of my WordPress site. I have no clue what happened, but for almost a month I have been locked out of my account. The short version: my password was changed and so was my email address. I’d like to think I was so flamboyantly popular that some stalker hacker stole my account to have just a little piece of the Tania L Ramos fame if only for a brief shining moment. But, alas, this is probably not the case. It smells more of the workings of some snot nosed hacker who does it for malicious self-gratifying fun than admiration of raw talent. Hehe. I still crack myself up. And continue to dream of the day my adoring fans would try to hack my account…ah. Beyond that, I have finished a book that was written to aid indie authors in writing elements. Not the typical place a comma here and period goes there. This is more meat and potatoes stuff. The things the editors pick on more than elementary school grammar. You see, grammar is a quick and easy fix, but poorly written content can mean literary suicide. I’ve been on the lashing end and did my research, so I thought it only fit to share. We aren’t sure the title yet, but we’ve been playing with, “How to Survive the Writing Apocalypse: a 21st Century guide to content editing.” It’s a title in progress, but we do have an awesome cover art idea in mind. What is with the “we” business, I mentioned above? I have a publicist now. Yep. There are indie movies, indie rock, indie books and now an indie publicist. That means he didn’t spend eight years acquiring an MFA, but he gets around and makes noise. Blackbird_LSD is a new company of editors with publicity on their agendas. Things like showing books at local fairs for those authors who can not attend (author by proxy?). Plus much more. They are getting their feet off the ground and I’m in on the bottom level. Good or bad? Remember that publicity is publicity and we all start somewhere. So this team is just starting, but I think they’ll do great with the ideas they have. I have a busy October. My biggest event, and the one I have been focused on, is the speaking event at the Victorville Library 10/17/12 at 6pm (should you want to stop by my fair high desert community). I was told not to expect a crowd because they never do well, but for me that is a challenge. So “we” brainstormed to try and find a way to make this a smashing success. The answer: give away a book to the middle and high school libraries who have faculty and students in attendance from the community. Blackbird_LSD handled the task of emailing every art, drama, english, and language teaching in the area. We have also been blasting this in Twitter and my Facebook page. Next, they will alert the press. My goal is to send out at least 10 books to surrounding schools. 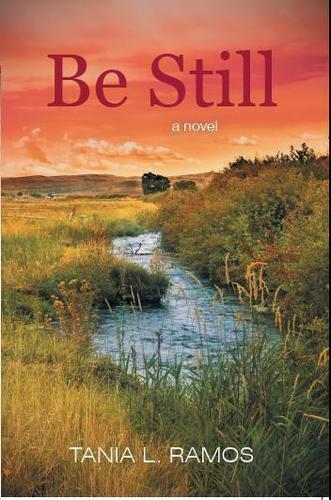 We also decided that instead of just talking about, “Be Still,” my book, that I would instead talk about pursuing dreams, writing, and the road to becoming published. I want to inspire young authors. This is my chance. So that is my current life in a nutshell. Should I remain hack free, I will try and update at least twice a week. See you on the shelves. Oh my word, it has been a while since I’ve been able to blog. I apologize for a two week absence. Life has been about as hectic as life can get. But now that I have a free moment I would love to catch everyone up with what has been going on. First off, and the biggest thing of all, my brother has finally come back home! It has been two years since he was sentenced to prison for a crime he did not commit. I continue to stand by him and the facts that were never presented in court. And as much as I love my country, I have learned to not put my faith in it but keep my faith with God. Justice is not always just. Justice is however very blind to many many things. My brother has returned home just a little bitter, but anyone falsely imprisoned would be. However, he has returned home the same man–and little brother–he was two years ago. In fact, we didn’t skip a beat and picked up right where we left off. I am so happy to have him home and have him razzing me about my novels. He also saw his niece today whom he hasn’t seen since she was three . . . she is now five . . . and those kind of years are full of all kind of change. Welcome home brother! Second, I have secured a speaking and signing engagement at the Victorville Library Oct 17, 2012. This is very exciting for me. I am having a bunch of flyers and magnets delivered so I can start my advertising for it. I have also volunteered to donate a copy of Be Still to each middle and high school who has at least one student or faculty member in attendance. I’m really trying to help my community too. Third, as of next tuesday I will be leaving my on-call position at the big hospital to work as a GI nurse at a small private endoscopy center. The hours are better and full-time with benefits, so I have insurance and more time to be with family and write. I will keep my on-call spot but only work one day at the hospital to aid in paying off my debt from publishing. I’m excited and really hoping I will be able to write more. Fourth, I have started working on a new book. This one is a self-help guide for new authors in the 21st century. There is a difference in today’s writing compared to say, 1990 when things like texting and video conferencing weren’t written into books. This book will be more about content and narrative than grammar. Why reinvent the grammar wheel . . . there are already so many books out there. There are also many self-help books for authors, but most are dated and most do deal with grammar. My hope is that this book will help new authors avoid all those mistakes I so tediously had to correct because I was wet behind the ear. The book should be done by month’s end and hoping for an early 2013 release. Fifth, and last, I have been working on a book trailer for Katherine Nader who’s book The Deadly Mark was just released. I am also hoping to start a fun and exciting co-op for authors, musicians and artists in the indie community where music can be used in book trailers and linked back to the artist, as well as use cover art from new or aspiring graphic artists for book covers or music covers, which they can then use in their portfolio. I guess it is a kind of bartering program when it comes down to it. By the way, check out Katherine Nader’s cover photo (and click it to be linked to her Facebook page). My excerpt about the book is on the front cover. I’ll post a review soon, but if you like period based novels, kings, princesses and the medieval likes then read read read The Deadly Mark.